Jan Ijäs has structured his exhibition into two halves, like a vinyl record which is turned "over" halfway through the exhibition as the works are replaced. The first half, or A-side, conveys the message of a time of innocence, when the possibilities brought about by the internet still produced elements of surprise. The analogous experience can be condensed into the clear air in the Sierra Nevada mountains, the clear images of which appear to be visually "raspy", thereby creating aesthetic pleasure. The flip side, with its Waste theme, focuses in turn on people, goods, money and useless weapons of yesteryear as materials. 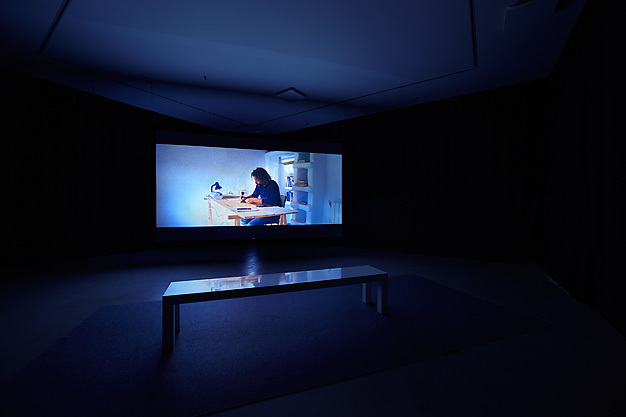 The earliest work chronologically in the exhibition is the single-take video work Solitude in year of zero (2013). This work reflects communication and non-encounters and supremely combines moving image and SMS messages. A small group of people appear in a randomly composed group take boosted by the movement of the camera but the group converses through text messages completely elsewhere. The messages are real Facebook and Twitter messages. 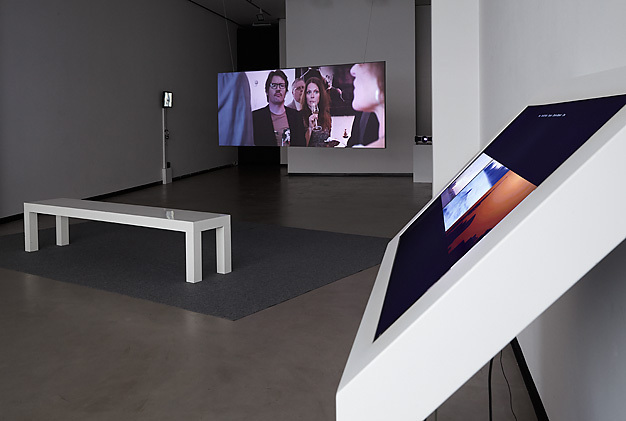 The narrative video work Social connection (2015) continues the theme of communication. 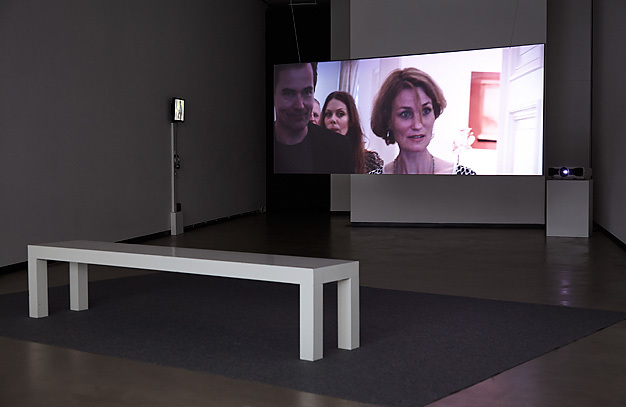 The video shows professional Finnish actors cast as upper middle class people gravely discussing whether or not a child should sit facing the front or rear in a baby carriage until a certain age, and how to interpret the instructions about the right ratio of rice to water given on the side of a packet of rice. Under Ijäs´s direction and in the expert care of the actors, the initial situation in the manuscript becomes "limboed", into a surreal imprisonment of habits and language in the manner of Luis Buñuel´s films. The dialogue comes from lost property, borrowed straight from threads of comments on Suomi24 online or Vauva (Baby) magazine chatroom style discussion forums. Ijäs says that the discussions are chronologically in the "time of innocence" of online chatrooms. He claims this is because these dialogues contain no anti-immigration comments, for example. A small audio fragment from Buñuel´s The Discrete Charm of the Bourgeoisie (1972) reinforces the link between the work and themes found in Spanish surrealism. 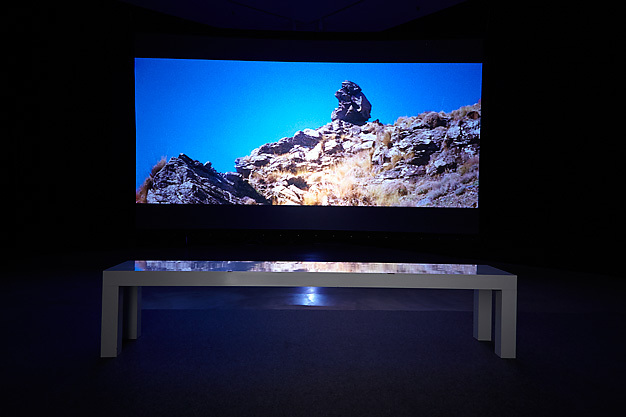 Physically located in Spain, the documentary work Time Capsule (2015) was shot on an area of 10 hectares owned by the Belgian artist Louis de Cordier above the snow line in the Sierra Nevada mountains in Spain. On this site, De Cordier has, among other things, created an underground library and a seedbank for non-genetically modified plants. The location at a height of 2000 metres above sea level, small temperature fluctuation and dry climate slow the erosion of time. The architecture of the buildings has drawn on the design language of the visionary American architect and theoretician Buckminster Fuller. The work reminds me of René Daumal´s words, "There is an art of conducting oneself in the lower regions by the memory of what one saw higher up", in Mount Analogue (1952), the symbolic adventure novel dealing with non-Euclidean mountain climbing. Alongside Time Capsule, which depicts one place, the work One Shot is very different. One Shot is a compilation of 56 shots taken by different photographers in different parts of the world during the first half of the FIFA World Cup final on 11 July 2010. Ijäs had requested many artists, architects, cameramen and directors to turn their heads away from the football and to photograph something else for 45 minutes of the game. 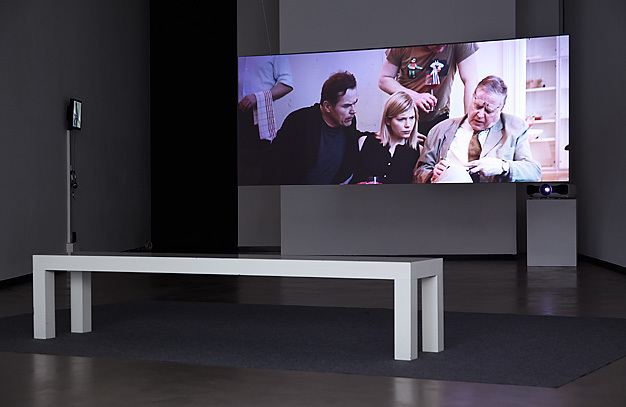 Even though Ijäs gives his planned timespace to polyphony of the creators´ material, music and a narrator, who comments on the images, have been added to the work later. The work brings different time zones together and channels the thoughts to Chris Marker´s cinematic essay Sans Soleil (1983). According to Ijäs, the subheading of the work could even be "Recollections of the Future", in the same way as Sans Soleil. All the materials in One Shot can be found at www.oneshot.fi, where viewers can create their own version in real time combining different shots. When cutting from one image to another, the viewer makes a choice, which temporarily excludes other choices. Ijäs called the technique Open Source Cinema. 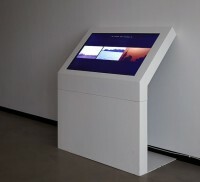 In the exhibition, the work has been installed on a 42" touch screen, where the work can be "cut" by touching the image. "... when it´s all over and the enjoyments have been enjoyed, only the waste remains." The works in the second half of the exhibition deal with waste. 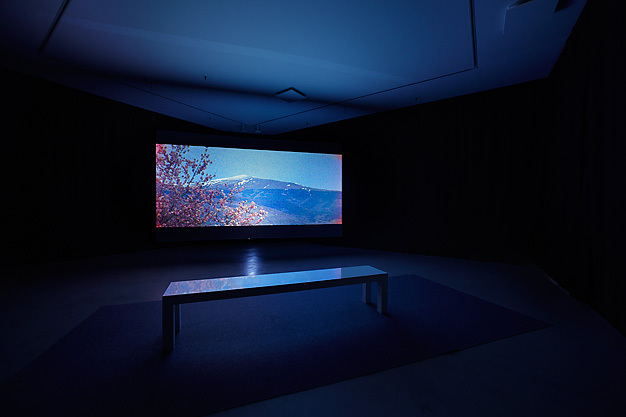 The three works exhibited are part of an uncompleted seven-part work, even though they function also as individual works. Ijäs calls these works "sights" rather than films and says that he understands waste as something unwanted and lost. Wreck (Lampedusa, Italy, 2015) was photographed in 2014 and 2015 in the graveyard for refugee boats on the Italian island of Lampedusa, where tens of thousands of refugees arriving from North Africa beach each year. The wooden boats hauled onto dry land and the piles of belongings gradually transform into wares. Since under international law there is an obligation to rescue a vessel in distress, the boats are often deliberately unsound. Unless a boat is in distress, Italian legislation treats migrants as illegal immigrants, which must be taken to their port of departure. In the money laundering episode Money (Harare, Zimbabwe, 2015), in the Harare slums, which are rife with crime, banknotes must be concealed in clothing, which means that the notes quickly become breeding grounds for bacteria. According to money launderers, dollar bills can best be gently hand washed with Omo detergent in warm water. However, they think it´s alright to put banknotes made of cotton fibre paper into a washing machine. Inflation has resulted in the Zimbabwe dollar completely losing its value and the banknotes are literally recyclable goods, which nowadays are turned into tablecloths and lampshades, for example. The episode has an absurd, even cheerful air. Bomb (Kittilä, Finland, 2015) is set in the "lunar landscape" of Kittilä in northern Finland, where every year, the Finnish Defence Forces destroy obsolete explosives. 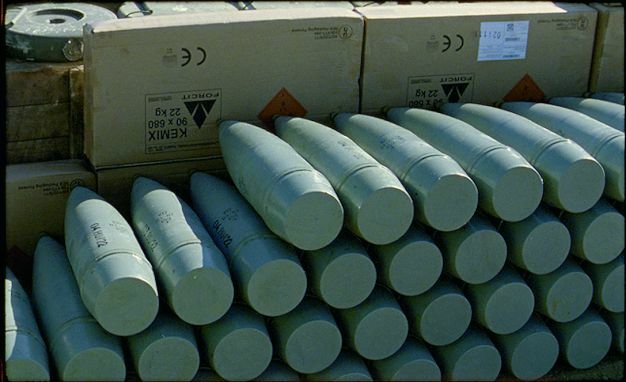 Calculations indicate that the cheapest way to get rid of these explosives is to blow them up. There are large volumes of explosives involved. Interviews in the work tell that around 1.2 million kilograms of explosives have "gone bang" in 1½ weeks. Before explosion, a helicopter circles above to ensure there are no people or reindeer in the area. Ijäs used one S16 mm, three S8 mm and three different digital cameras to record the work, using 16 mm film to take photos in fast motion (32 frames/second; 250 frames/second for the explosion itself), to achieve a dreamlike movement. Similarly, 8 mm film was used to take photos in slow motion, to achieve accelerated movement. The army had its own recording equipment. The explosion safety area is about seven kilometres. The invisible blast wave hit about 24 seconds after the silent flash. The explosion caused a mushroom cloud extending to the low cloud and a crater of about 10 metres in depth and 30 metres wide. In the work, army representatives speak about "a hole three majors´ deep". After the explosion, investigators dressed in bomb suits arrive at the scene. The iron scrap is collected and sent for recycling. Excavators and tractors have the Sisyphean task of covering the more than ten-metre crater for the following day. If Buñuel is a godfather to the first part of the exhibition, the works in the second half approach Kafka. The worst single tragedy in Lampedusa is the accident at sea in 2013, when 366 eritreans drowned off the coast of the island. However, TripAdvisor´s website votes the shore where the accident occurred as one of the world´s best beaches for swimming and the site even recommends visitors to take a snorkel with them. Ijäs transforms topics of the lost value of human life and money, wastage and the absurdity of destroying means of destruction into cinematic narratives, where also people´s life or work becomes material controlled by various systems. Jan Ijäs (b. 1975) works with documentary, fictive and experimental film. 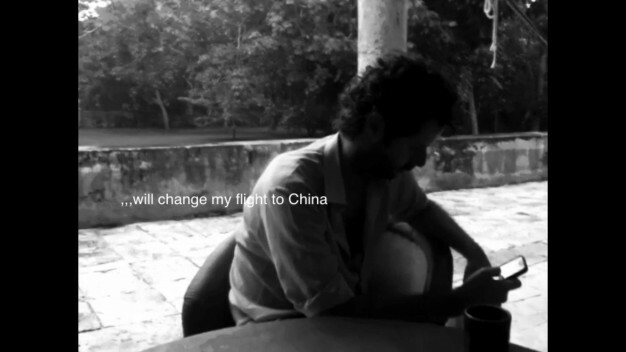 His production borders avantgarde film, experimental media art, contemporary art and documentary film. 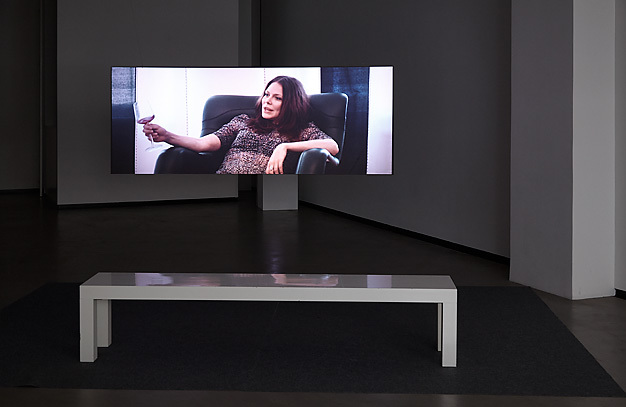 Ijäs´s films and installations dealing with otherness and alien identity have received wider attention and been screened in more than one hundred Finnish and international film festivals and in exhibitions in museums and galleries. Jan Ijäs lives and works in Helsinki, where he studied documentary film directing in Aalto University School of Art, Design and Architecture. Ijäs´s film SWEET MOV(I)E received the Risto Jarva Award in 2011 and Two Islands was among the ten best films in the short film competition series at the 2013 Tribeca Film Festival. Ijäs has also been noticed on the contemporary art stage - in 2012, he was awarded the Jury Prize at the Charlottenborg Spring Exhibition in Copenhagen.